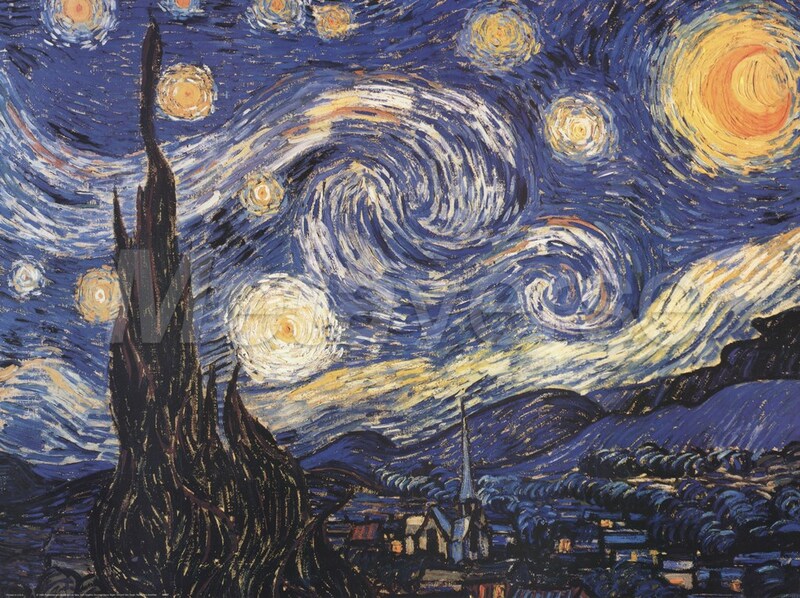 Another of the many asylum pictures, "Starry Night" surely ranks among Van Gogh's most famous works. Much of this recognition must go down to Don McLean's eponymous ballad, in which Vincent's mythic status as the archetypal tragic and misunderstood genius reached one of its more sickly apotheoses. No-one would have been more surprised by this sentimentalizing rhetoric than Van Gogh himself, who considered the image to be one of his less successful renditions of nature. In his opinion, it was just not realistic enough. Nevertheless, it is precisely this aspect of the work that has appealed to critics and crooners alike. What these admirers almost unanimously pick up on is its visionary quality. The painting may not be a naturalistic representation of the Provencal countryside, but it does evoke another previous reality. The small cluster of houses and the silhoutted cypress tree look just like a nestling Dutch village, with its typical church spire. The sky, reminiscent of Rembrendt's etching The Annunciation to the Shepherds (1634) is a further throwback to Van Gogh's strict Protestant past. In some ways it also points the way towards abstraction, and certainly Expressionism. Its rhythmically swirling forms and bold patterns are also similiar to those that appeared under Gaugin's influence in Arles, although surprisingly lneither Gaugin nor Bernard recognized this this painting as bearing their imprint, seeing it "merely" as a scene of a village at night.